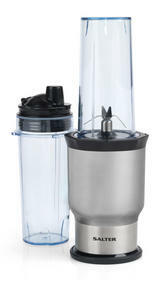 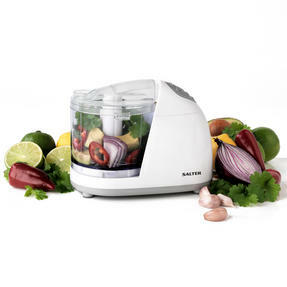 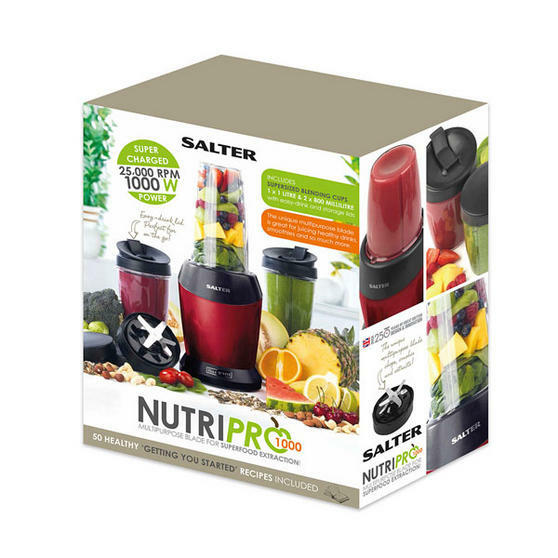 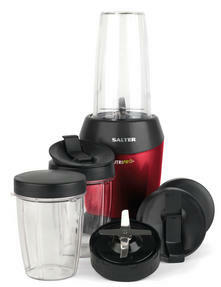 Using 1000 W power and unique extraction blades, this fabulous Salter Nutri Pro blender locks in the best vitamins and minerals so you and your family can enjoy flavour packed drinks with all the nutrients you need. It comes with a large 1000 ml cup and two 800 ml cups with flip top lids for drinking on the go and storage lids for preparing smoothies in advance. With a gorgeous silver base, the Nutri Pro looks smart in any setting and includes 50 healthy recipes so you can get started straight away. 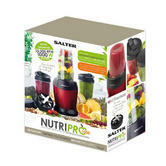 If you want to live a healthy lifestyle and pack more fruit and vegetables into your diet, the Salter Nutri Pro is a great way to start. 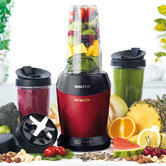 With 1000 W power, the unique blades extract and lock in all of the best nutrients to create beautifully blended smoothies and juices. 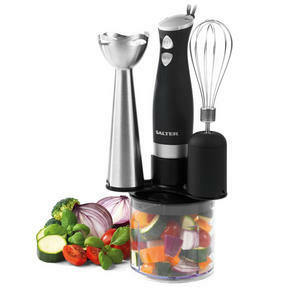 The stable silver base will look brilliant in your home and measures just 15 x 15 x 21 cm so it is wonderfully convenient to store. 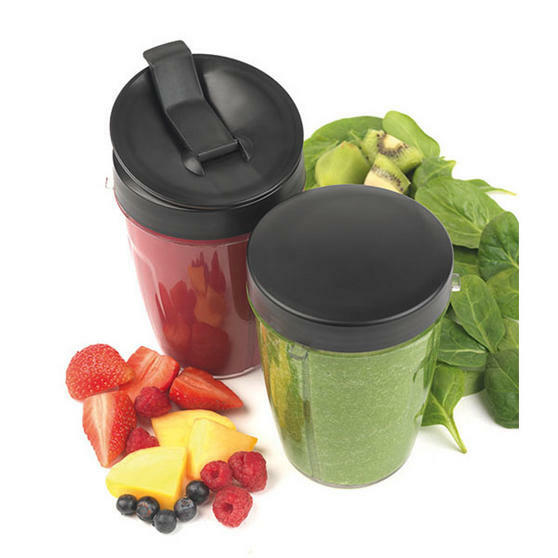 As well as being BPA-free, the cups and lids are light to carry and very easy to clean as you can simply pop them in the dishwasher. 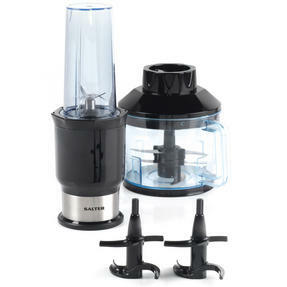 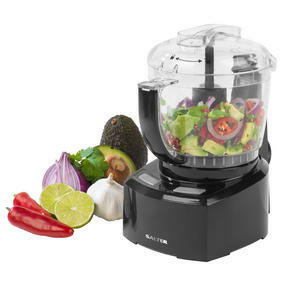 Winner of the Best Buy option on BBC2's What to Buy and Why - defeating the Nutribullet 900 Pro, NutriNinja BL490 and Vitamix s30.